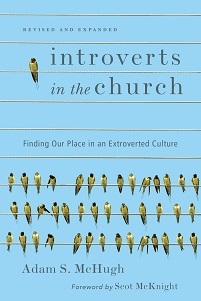 Adam S. McHugh: Hospitality for Those Who Would Rather Stay "In"
When I tell people that I wrote a book about introverts and church life, their mental Bibles often flip open to Mary and Martha. Martha is the quintessential extrovert, scurrying about to keep all the plates spinning, her attention darting from one task to another. Mary is the archetypal introvert, sitting quietly and lost in thoughtfulness, unaware of the urgent duties of the moment. But while it is tempting to read the story as a biblical forerunner to the Myers-Briggs Type Indicator, I think the scene poses a different issue: What is the nature of true hospitality? Conversations about hospitality often turn around a person’s eagerness to invite others into their home and their skill in serving food and drink. If that is the proper definition, then Martha is close — but her hospitality is mismanaged. Perhaps a Martha Stewart party book would advise her to prepare food in advance so she wouldn’t be so stressed when Jesus arrives. But we must take our definition of hospitality deeper. We have all been in settings in which delightful aromas wafted yet the air somehow smelled of unwelcome. Comfortable chairs, massive amounts of food, and overflowing glasses are not necessarily synonymous with hospitality. 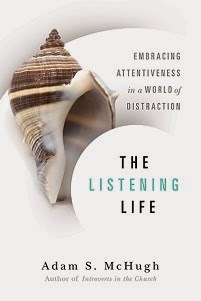 Martha is “distracted by many things,” observes Jesus, and my guess is that Martha has made a common mistake: she has focused on the trappings of hospitality but has missed its heart. Carving a turkey is not as valuable as carving out real space for others, to help them feel at home with us and not just give them a chair at our dinner table. “Mary has chosen the better part,” Jesus says, and I think the better part is him. To read the rest of my new article on Crosswalk.com, "Hospitality for Those Who Would Rather Stay "In," click here.